This paper aims to set the stage for the development of an index that measures progress towards sustainability in the service sector. A review of the academic literature reveals history and theories on the subject, while a look at the trade literature describes what is happening in each of 13 different service sector industries. A framework for the development of a sustainability index for a commercial enterprise is developed. This framework is aligned with triple bottom line corporate reporting, and measures progress towards sustainability in terms of profit, people, and planet on the principle of continuous improvement. 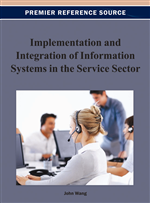 The objective of this paper is respond to the need of measuring enterprise sustainability in the Service Sector. This happens at a time when public enterprises are also pursuing increased transparency and openness in their relations to the public, while the world is demanding accountability for resource use. The quest for better reporting to enterprise stakeholders is being made possible through the triple bottom line reporting, as this paper will show. The proposed measurements for enterprise sustainability are congruent with the triple bottom line approach, but may be unique for each Census Service Sector, as one size would not fit all. Such variations may lead to many demonstration research opportunities for each sector or trade association. Public enterprises would nevertheless monitor their own indices on a continuing basis, in line with sector standards and triple bottom line reporting. While developmental sustainability has been practiced throughout time as a matter of necessity, the modern interpretation started with the publication of Rachel Carson’s book “Silent Spring” in 1962; hence the emphasis on environmental issues. The following decades then produced The Club of Rome’s “Limits of Growth” and the United Nations’ “Our Common Future”, which is also known as the Brundtland Report of 1987. That report defined sustainability as the term is used today. Subsequent guidance came from the United Nations’ Conference of Environment and Development in 1992. This conference in Rio de Janeiro became known as The Earth Summit, and it produced ”Agenda-21”, which is a blueprint for sustainable activities across all dimensions of human activity on this planet. The Service Sector literature to date has rarely questioned its basic business model of selling more products; albeit, with fewer resources and higher delivery efficiency. As a result, constraints on consumption are not considered. The service industry and the end consumer, have to be drawn into the debate of a major cultural change to achieve a sustainable state in the not too distant future. But even that can’t be meaningful, unless there is agreement on what “sustainable” means. There are many definitions and interpretations, some of which are contradictory.